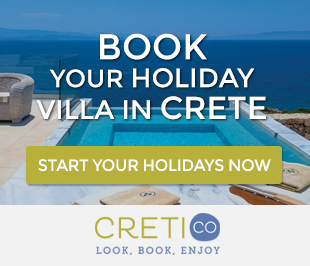 Cretan feast or festivals are very popular in Crete and something we recommend experience in your holidays in Crete!, The traditional Cretan music and Cretan dances are directly connected with the spirit and social life of Cretans, from antiquity until nowadays. You will hear them singing and dancing not only at parties and social events, but also in their everyday life. 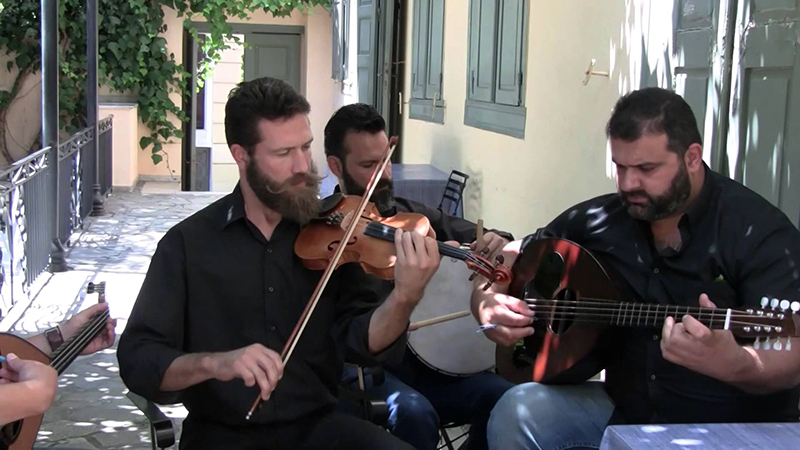 Cretan music is the eldest music in Greece and generally, in Europe. Since ancient times, music held a special place in Crete and this is proved by the archaeological excavations, the ancient texts and paintings that are preserved in the Archaeological Museum of Heraklion. Most paintings represent the lyre player playing in the middle and the dancers dancing around in circle. There are also images of flutes, conches, trumpets and the ancient lyre. After the fall of Constantinople (1453 AD), Crete remained under the Venetian rule. The Venetians, who respected the heritage of the Cretans, helped the musical education to be developed in Crete. 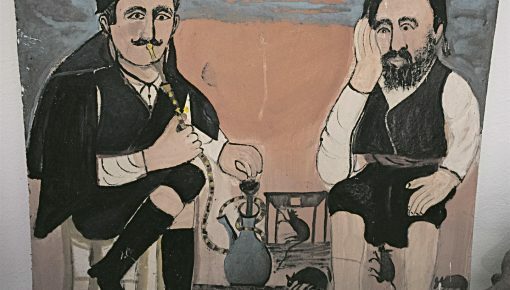 The same period, some enlightened teachers of Church Music from Constantinople founded Greek-Byzantine music schools and also, cultivated Cretan folk music. So, scholars of modern Cretan music have concluded that modern Cretan music was affected by the Byzantine music. It is the basic instrument of Cretan music. It is in three types: “Lyraki” (small lyre), the common lyre and “Vrontolyra”. They have three metallic chords, which, in the past were made of intestine. They differ in size, the sound they produce and their use. “Viololyra” is a type of violin lyre, created around 1925. 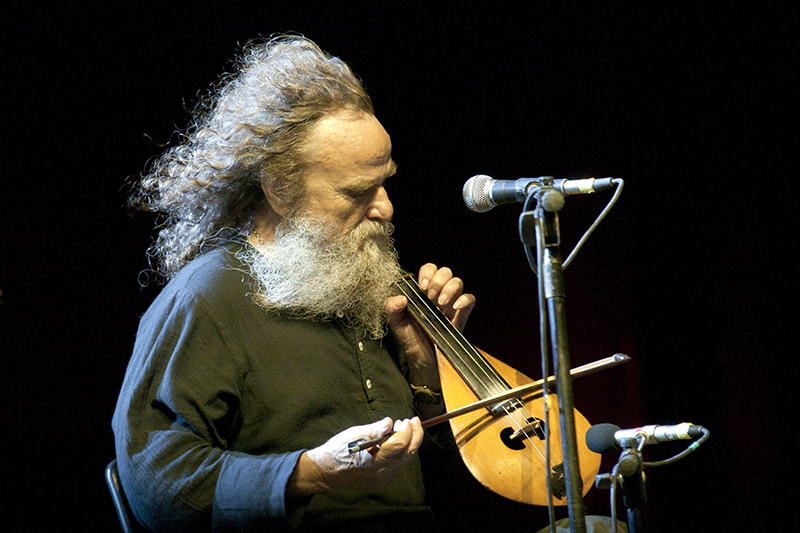 This is the familiar western violin, used as a folk instrument generally in Greece and is popular since ancient times. In Crete it is played along with the lyre, especially in the western and the eastern provinces of the island. They are very popular in Cretan music! 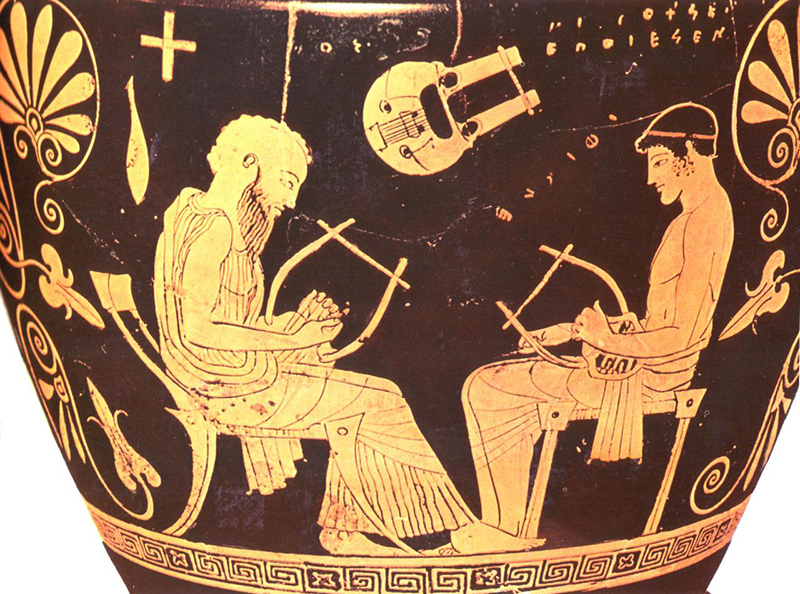 Mandolin, which was discovered in the West, was the ancient Greek instrument “Pandouris“. It was widespread in Roman Times and became very popular in Europe. It is a melody instrument in Crete, while the guitar is used more as an accompanying instrument. It is known throughout Greece and has four pairs of chords. It accompanies rhythmically the lyre or the violin. Most of the times, the lute is played to support the rhythm of the lyre, while in some cases, it has a leading role in the production of the sound, so the lyre player is able to rest. It consists of a leather bag used as storage of air and a wooden cap with a valve, in which the musician blows the air. There is also a device producing the sound consisting of a vessel ending into a funnel and two flutes with five holes. 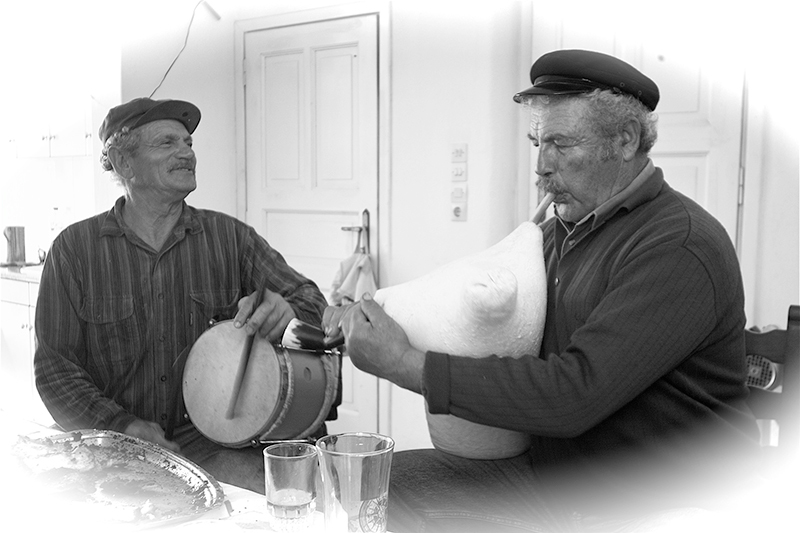 This instrument, which was very popular in Crete, unfortunately, tends to disappear in our days. 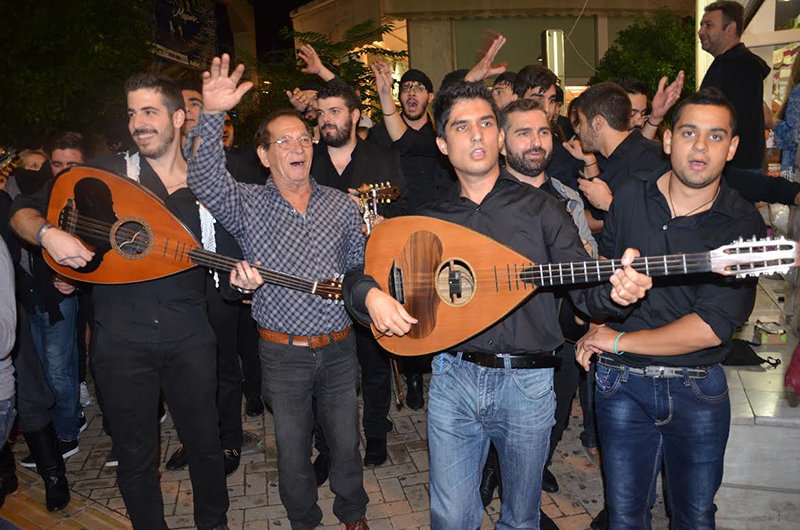 Cretan music is still alive and evolving, unlike the music of other Greek areas. This happens, mainly, because the lyre players use to improvise on the existing lyrics. 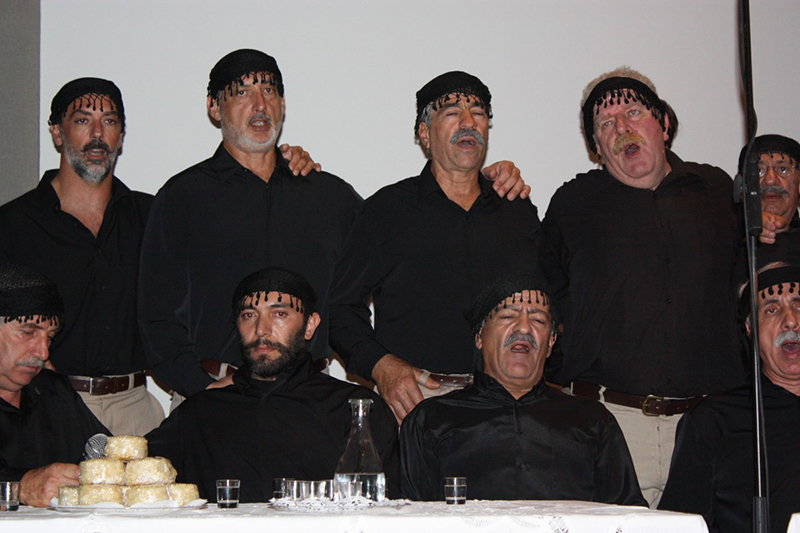 Improvisation is an element of Cretan music, as the lyre player does not perform the songs in a particular version but, depending on his psychological disposition, improvises and creates songs known as “Mantinades” (serenades). 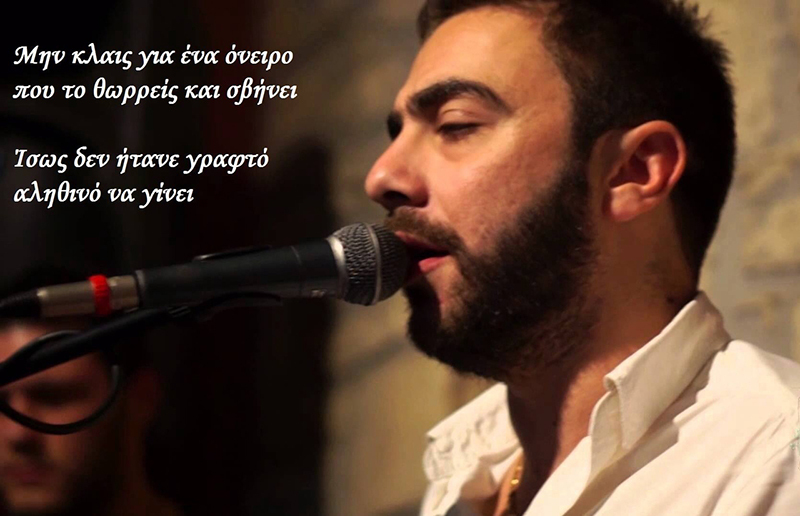 “Rizitika” is another category of Cretan songs, named from the Greek word “riza” which means “root”. Therefore these songs date back many centuries ago in Cretan music. Cretans don’t dance these particular songs. The singer usually sings them and the chorus repeats the lyrics. Famous “Rizitiko” is “Erotokritos” of Vincenzo Cornaro. 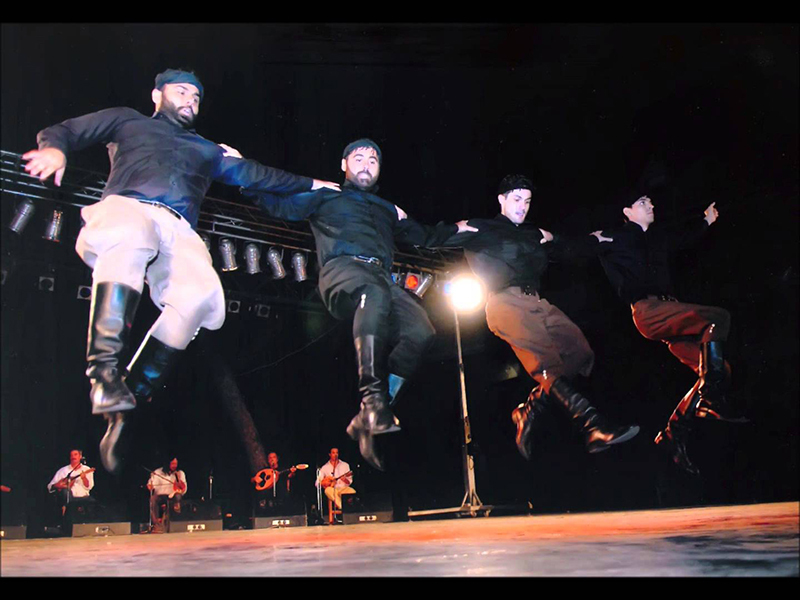 Modern Cretan dances are highly energetic, fast and characterized as war songs. Some of them are danced only by men. Essentially, they represent the elements of Cretan nature, the stormy sea and the wild and rugged Cretan mountains. Slower dances which involve women also, are dances on marriage or love, generally. 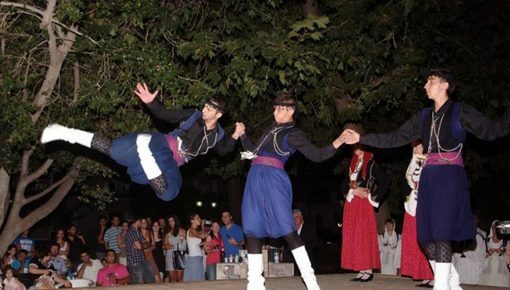 The typical Cretan dance “Pentozalis”, is danced throughout Crete. 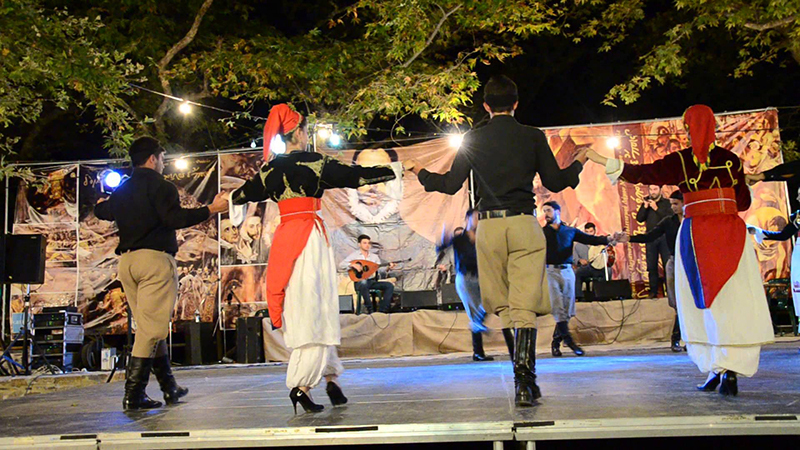 “Pentozalis” comes from the Cretan war dance that Cretan men used to dance in the ancient times. 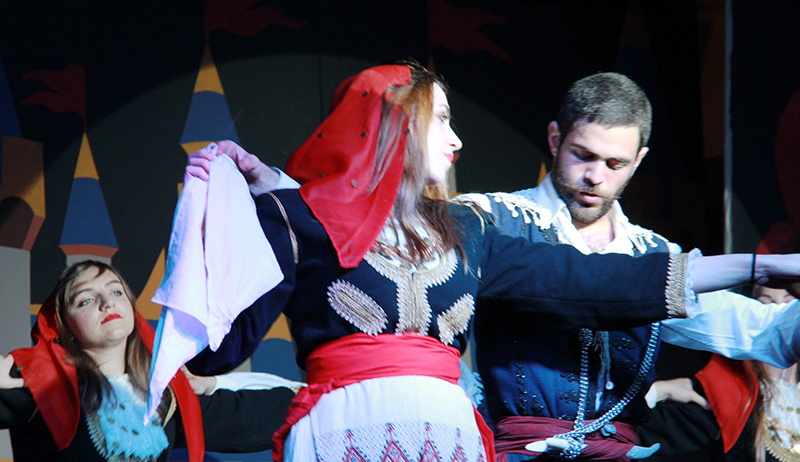 An equally famous dance of Crete is “Syrtos” (or Chaniotis). It is apparently slower than the other known Cretan dances, but there is lots of energy hidden in its rhythm. It is accompanied by a lyre, askomantoura, mandolin, lute or violin, mainly in western Crete. It is danced by men and women being opposite one to each other and contains many elements of the ancient war dance “pyrrhic”. At first, the dancers form a semicircle and dance all together, and then are separated to form couples. The particular dance describes a love story between the man and the woman dancing. It is perhaps the most lively dance of Crete. It consists of sixteen steps, eight forward and eight backwards. It is accompanied by the lyre, violin or askomantoura along with the lute, mainly in the mountain villages. Sometimes it is accompanied by the violin. “Siganos” is a slow, almost walking dance with the dancers holding each other from their shoulders. The dance consists of six or eight steps, depending on the area in which it is danced. 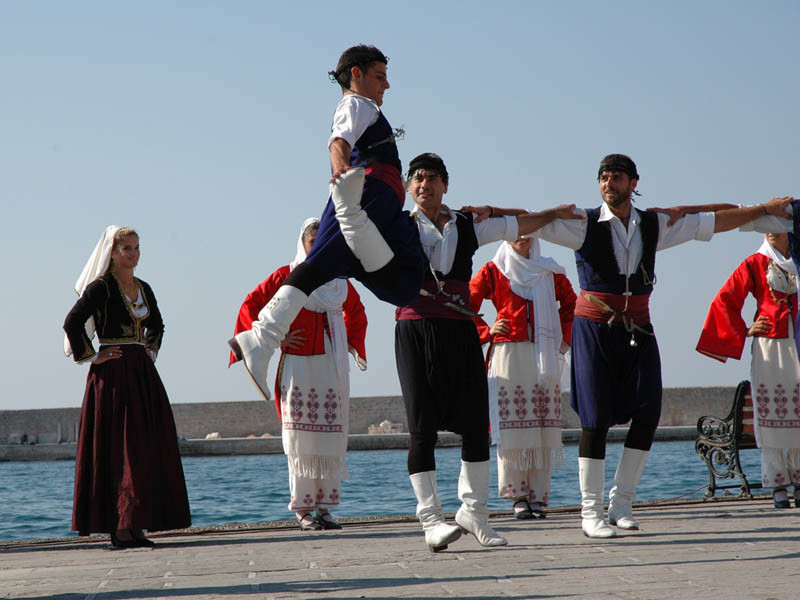 In Mylopotamos, Rethymnon it is danced with eight steps, while in Heraklion is danced with six steps. 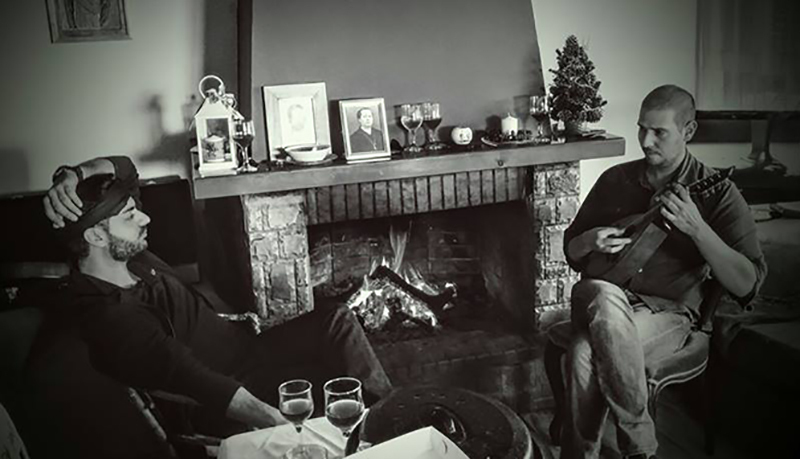 Posted on 04 Dec 2015 in Cretan Culture and tagged Cretan Music.